Happy Ours - Spring availability – won’t last long! 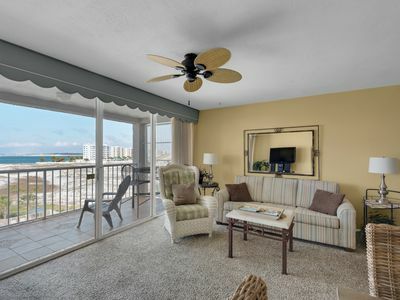 Features: Pet Friendly / Beach Chairs & Umbrella (Seasonal – Free) / Bike Rentals (Free) / Private Wi-Fi. Happy Ours is a picturesque, three-bedroom, three-bath home. 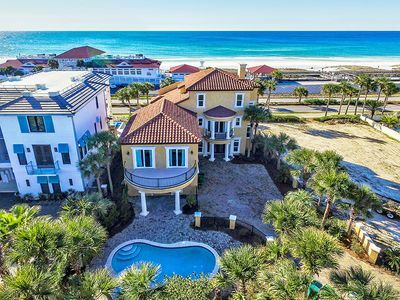 Located on Scenic Highway 98, just minutes from the crystal-clear Gulf waters, this lovely gated home can easily become your vacation go-to for years to come. With a king-sized bed in the master bedroom, a queen-sized bed in one guest bedroom, along with two queen-sized beds in the remaining guest bedroom plus two twin-sized rollaway beds, Happy Ours accommodates up to ten guests comfortably. 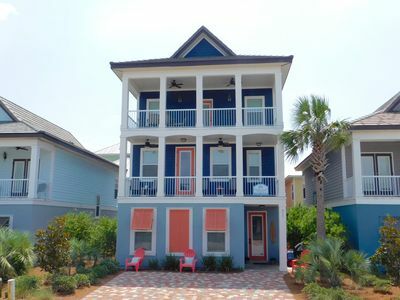 This lovely home provides the perfect accommodation for a large family beach vacation, a spontaneous trip with plenty of friends and every occasion between. Happy Ours also allows for two dogs up to 80 pounds each to tag along, so your four-legged friends can enjoy plenty of fun in the sun as well. 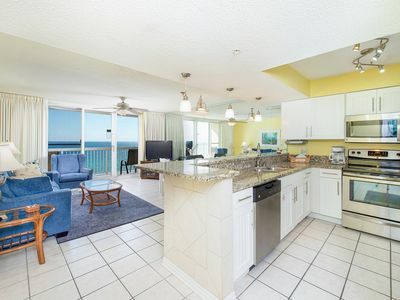 With an open layout, new grey Pergo flooring and updated lighting throughout, a warm and welcoming atmosphere, along with bright and coastal décor, you will feel right at home from the moment you enter. Upon entering this two-story home, you will find the living room immediately on your left along with the dining area on your right. 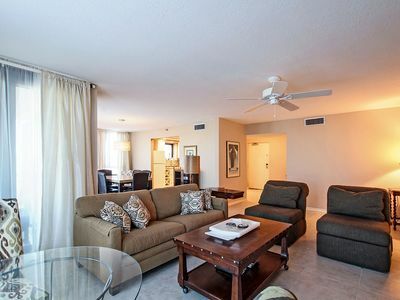 The living room boasts inviting décor, matching furnishings, as well as a large flat-screen television and a DVD player – perfect for a family movie night after a long day at the beach. The dining area features a dining table that seats up to eight guests comfortably. The dining area leads directly into the kitchen, where you will find three additional bar stools by the breakfast bar area. The fully-equipped kitchen boasts gorgeous granite, stainless steel appliances, along with a stunning backsplash throughout, adding to the personal “at home” feel. The kitchen includes all utensils and appliances needed to create your own meals at home. A short distance from the kitchen, you will find a guest bedroom featuring a queen-sized bed as well as a flat-screen television and DVD player, leading directly to the guest bath. This guest bath features a single vanity along with a spacious walk-in shower and is also accessible from the hallway. Enjoy the full-sized washer and dryer combination, allowing you and your family to pack light and leave plenty of room for souvenirs. Up the stairs, you will find the master bedroom with an en-suite master bath, along with the additional guest bedroom and guest bathroom. The master bedroom boasts a king-sized bed, a comfortable lounge chair, along with a large flat-screen television and DVD player. Step out onto the private balcony attached to the master bedroom, ideal for enjoying those stunning sunrise and sunset views. Enjoy ultimate relaxation with a double vanity and a large garden tub/shower combination, along with serene décor. The additional guest bedroom boasts two queen-sized beds as well as a large flat-screen television and DVD player combination. The guest bathroom is located between the guest bedroom and master bedroom and boasts a single vanity and a tub/shower combination. Enjoy the added bonus of two twin-sized rollaway beds tucked into the master closet, perfect for children. 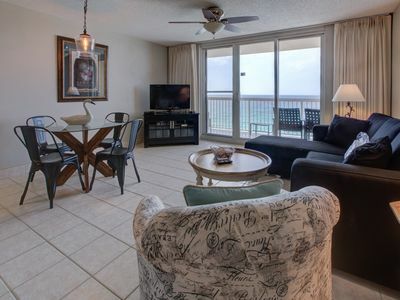 Happy Ours provides a picture-perfect accommodation for your next vacation to Destin. This gorgeous home includes a fenced-in backyard, providing plenty of room for your beloved dog to run around. Make a splash in the private pool in the backyard or venture over to Enclave resort, as you have access to that pool as well. 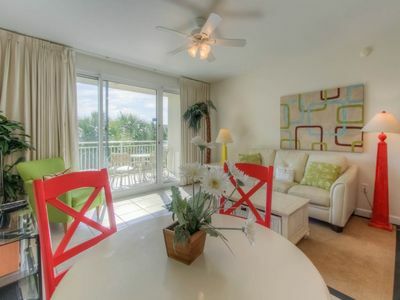 At Enclave you have access to our clubhouse area with access to volleyball and tennis courts. Create lasting memories with the gas grill, perfect for a family barbecue. 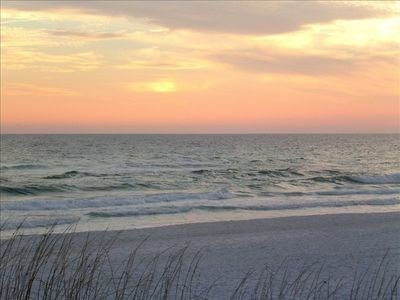 Happy Ours is just a short walk or bike ride to the most famed white sandy beaches of the Gulf coast. 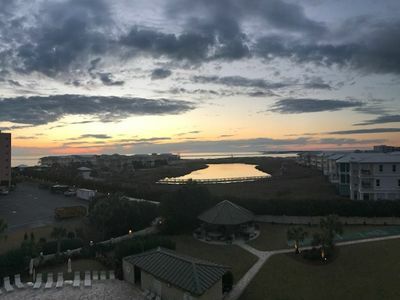 Take a bike ride down Scenic Highway 98, boasting an array of family-friendly beach activities and locally-owned restaurants. 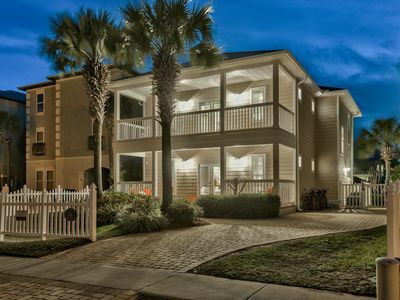 For an eclectic shopping experience, venture over to the Destin Commons, just 2.8 miles away, or the Silver Sands Outlet Mall, just 3.7 miles away. If golfing is your forte, take advantage of the multitude of golf courses near Happy Ours, including Emerald Bay Golf Club and Seascape Golf, Beach and Tennis Resort. Enjoy an action-packed day at Big Kahuna’s Water & Adventure Park, just 5.5 miles away, or travel over to HarborWalk Village, just 7.9 miles away. 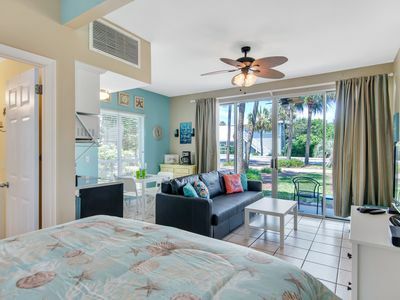 Truly live like a local and fill your vacation with plenty of adventures or simply relax and dip your toes in the sand with the free beach chair rentals included with your stay. 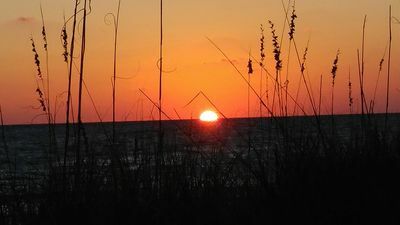 SunDestin 0711 - Book your spring getaway! Beautiful Tile Wood Floors & Stainless Steel Appliances. 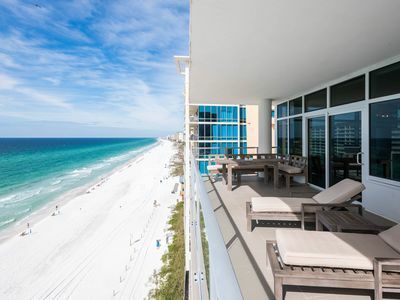 Beach Front Balcony! 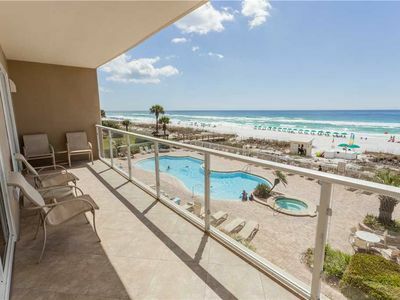 SunDestin 0210 - Book your spring getaway! 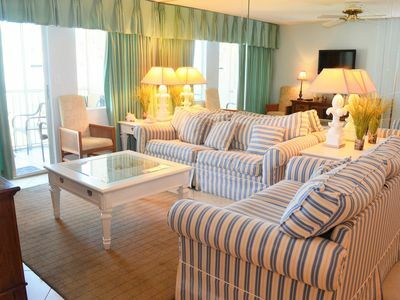 Pelican Beach 1105 - Ready, set, book for spring! 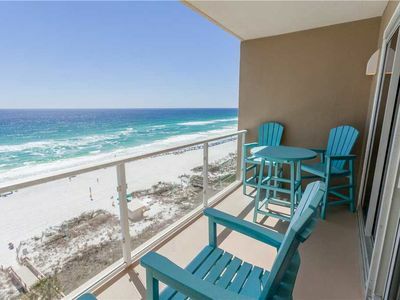 Magnolia House at Destin Pointe 408 - Act fast, for best spring availability. 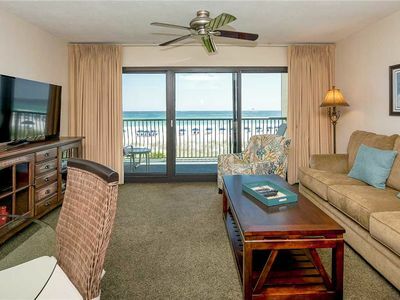 Family Friendly Resort Across From Water Park; Walking Distance To Attractions. 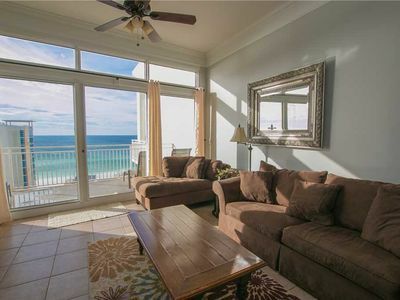 Holiday Surf 517 - Wonderful Ocean views - SLEEPS 8!! 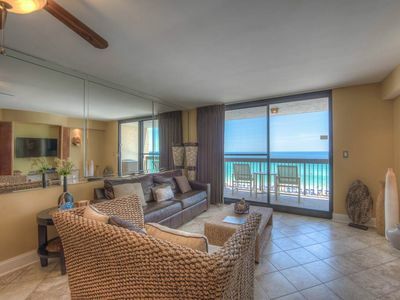 Stunning Vacation Home w/ Gulf Views, Private Pool & Guest House! 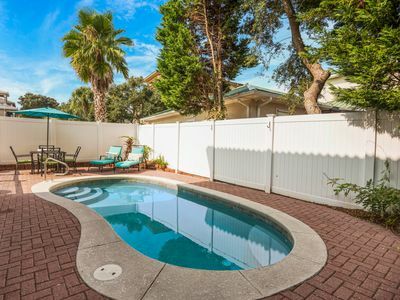 One BLOCK from the BEACH! Studio at Nantucket Cottages 20B! 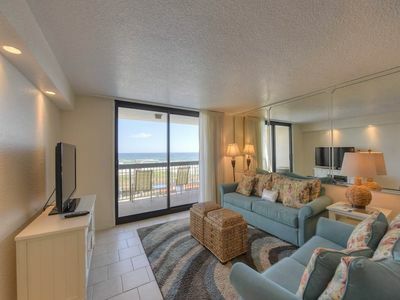 Updated 3BR/2BA Condo Across From Beach ~ Free WiFi & Cable TV!